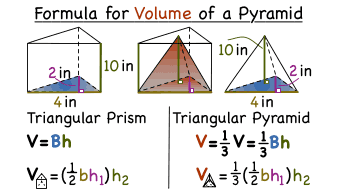 To find the volume of a rectangular pyramid, you need to know the length and width of the base and the height of the pyramid. Then, take those values, plug them into the formula for the volume of a rectangular pyramid, and simplify to get your answer! Watch this tutorial to see how it's done!